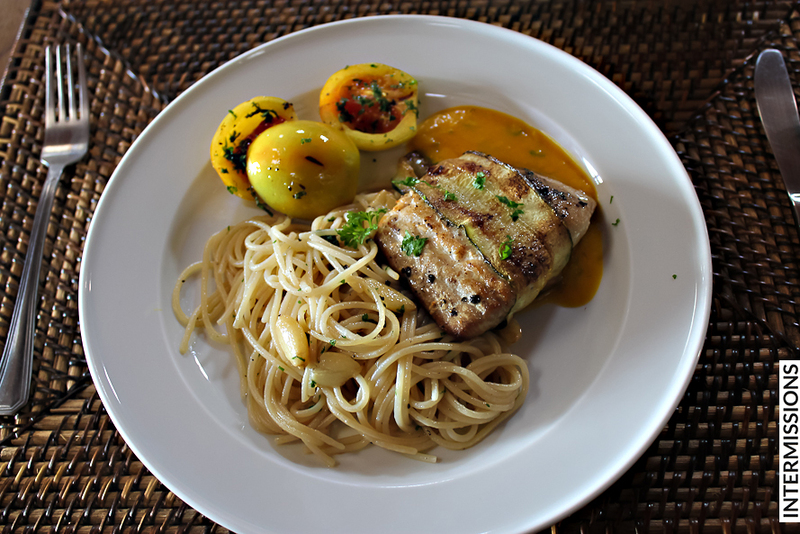 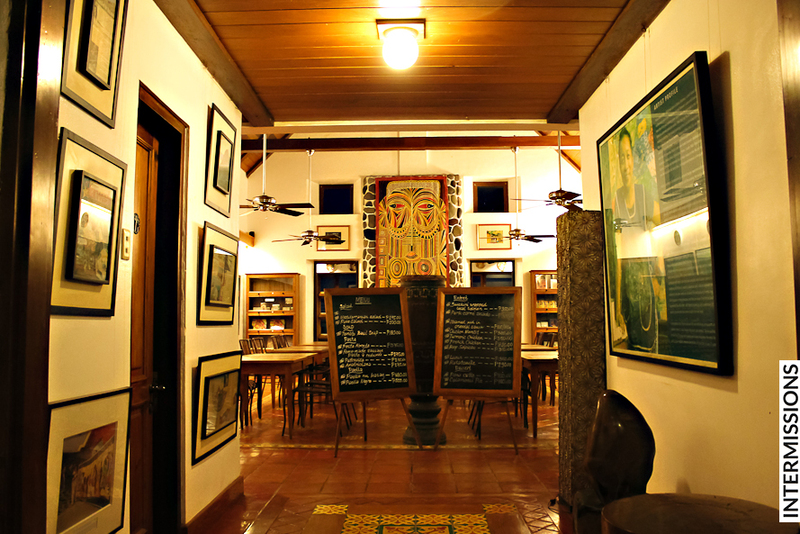 There’s a lot to love about Fundacion Pacita’s restaurant, particularly the fresh, farm to table offerings. 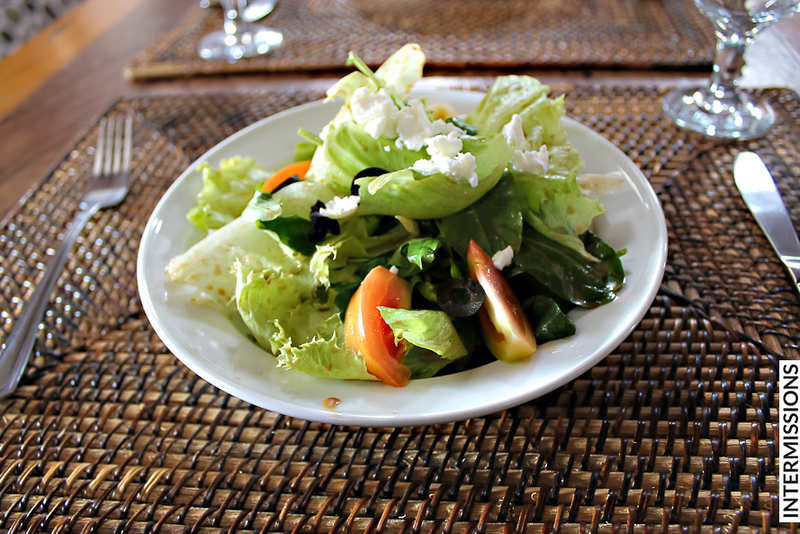 Everything on the menu board was mostly made with locally grown veggies, free-range meat, and fresh seafood. 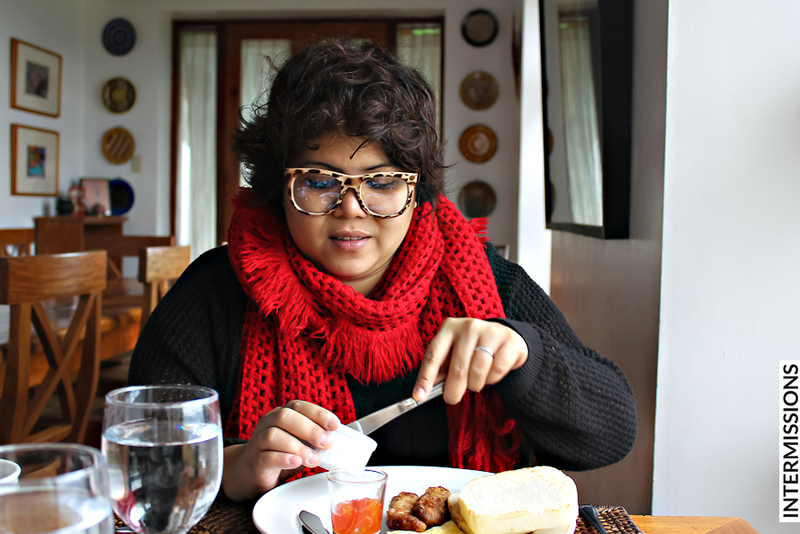 Everything looked yummy, and we ended up eating most of our meals in Batanes there. 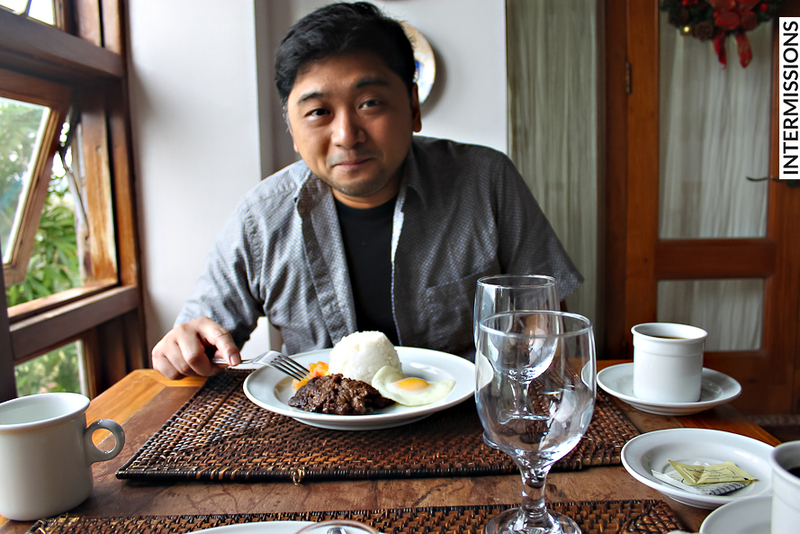 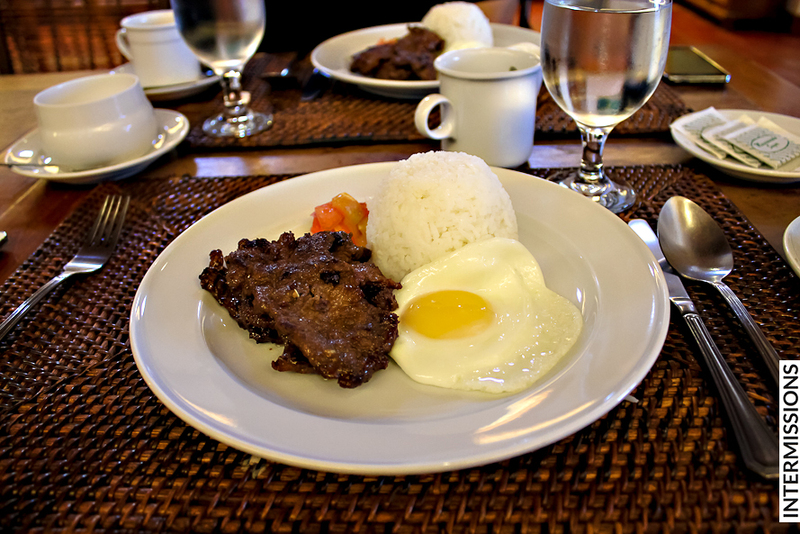 For our complementary breakfasts, we usually went with the yummy Tapa which came in steak slices, and the refillable coffee. 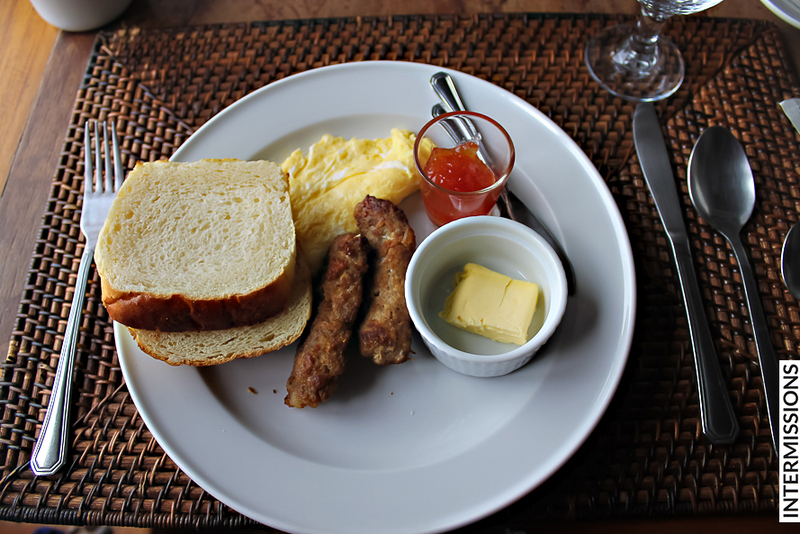 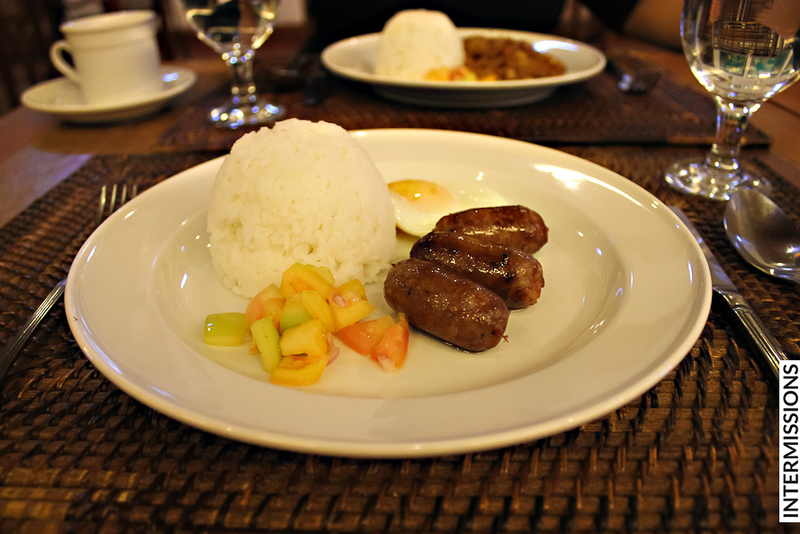 We also got to try their Continental Breakfast, Longganisa and the Chicken Adobo flakes. 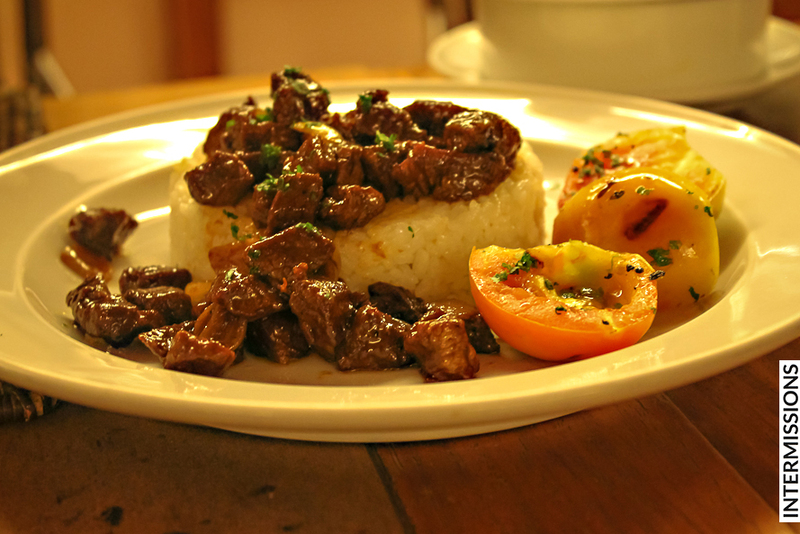 For lunch and dinner, we got to try a good range of what’s on the menu. 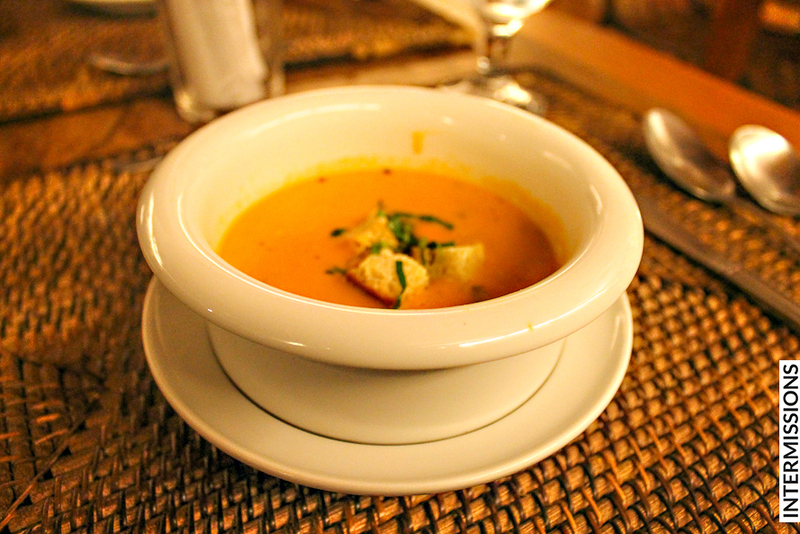 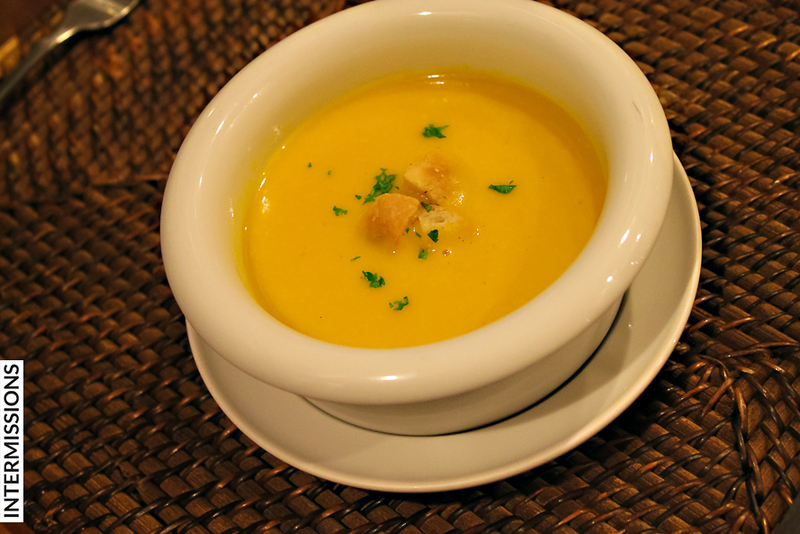 For soups, their Tomato Basil Soup and Pumpkin Soup were delicious and comforting after walking around windy Batan Island. 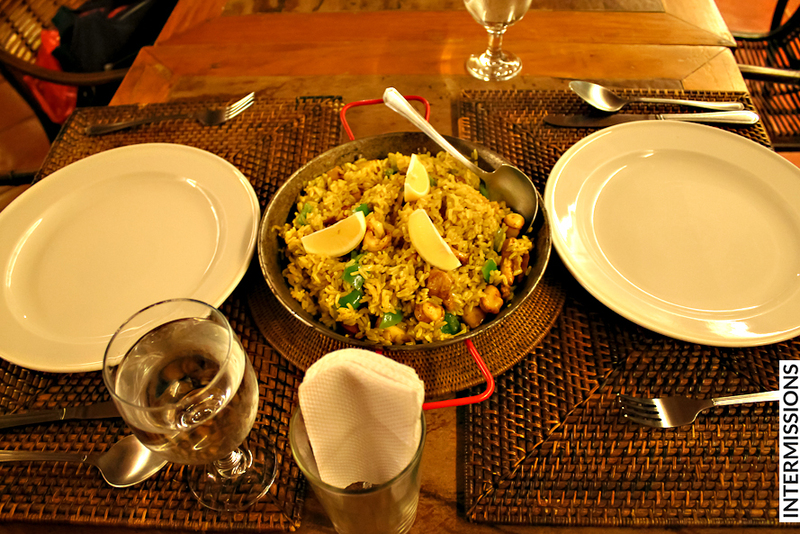 We got to try the Mediterranean Salad the Home-made Sausage Pasta, and Paella Nu Ivasay. 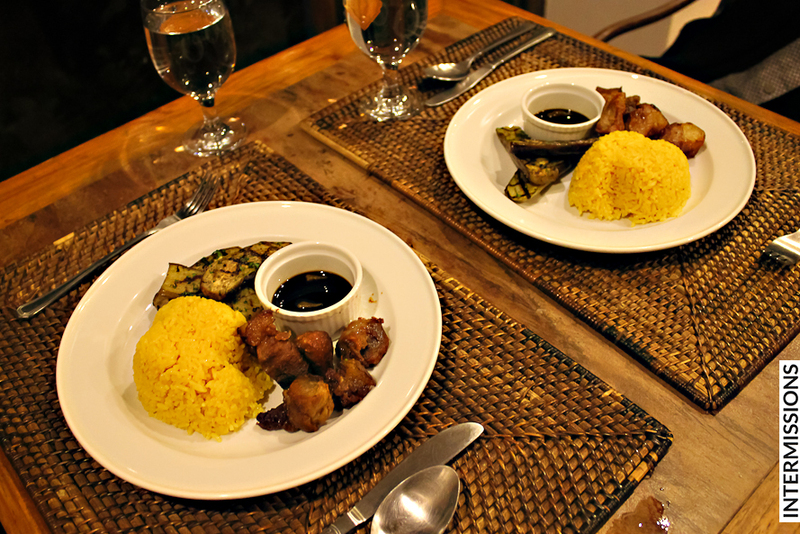 We enjoyed their Salpicao, their Pork Carne Asado, and their Zucchini Wrapped Local Salmon. 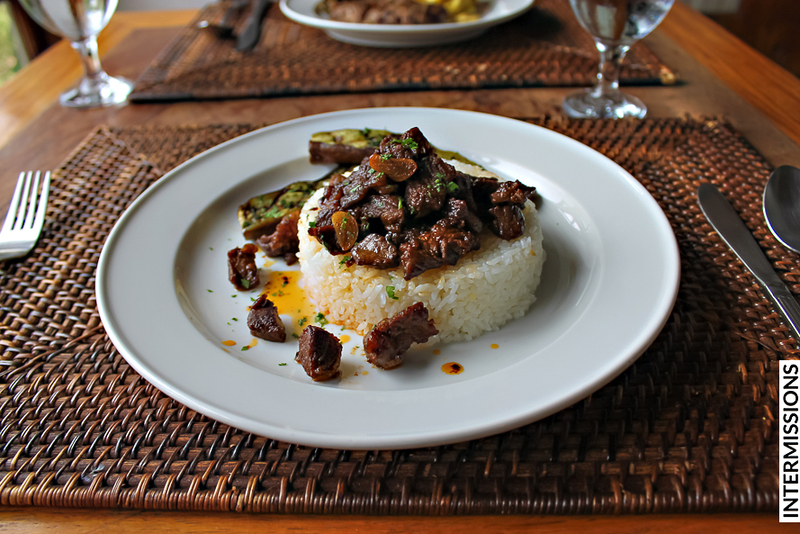 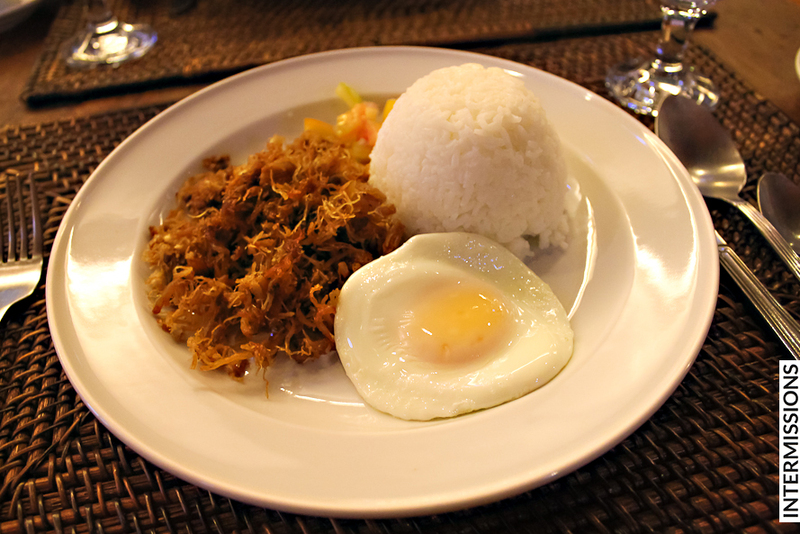 We liked their take on the Lunis, the traditional Ivatan dried adobo, so much that we had it more than once. 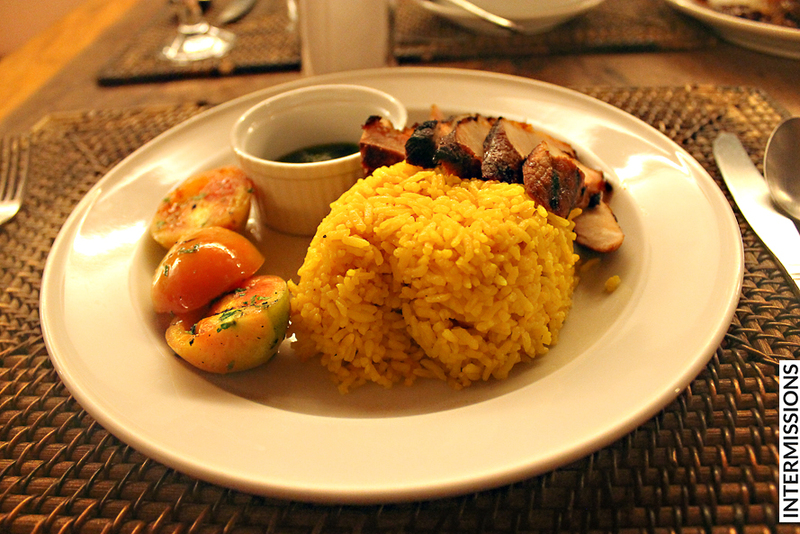 It was perfect with the Turmeric Rice. 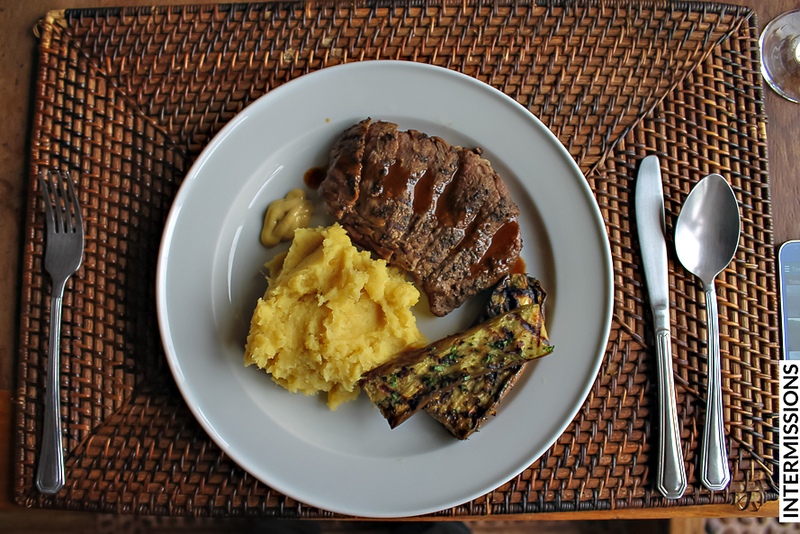 The mashed sweet potato that went with their juicy steak was so creamy, buttery and amazing. 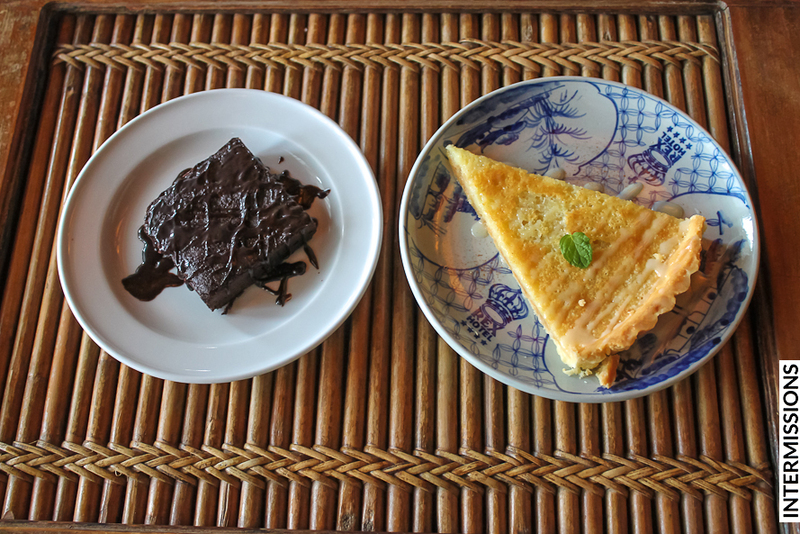 We pretty much got to try all the desserts available at the time. 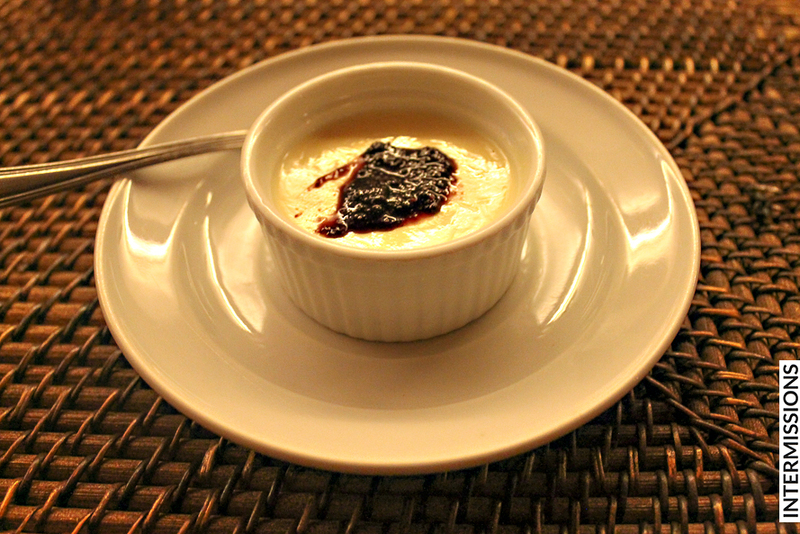 The Brownies, Calamansi Pie, and Panna Cotta were delicious, and the Muscovado Pudding is our favorite. 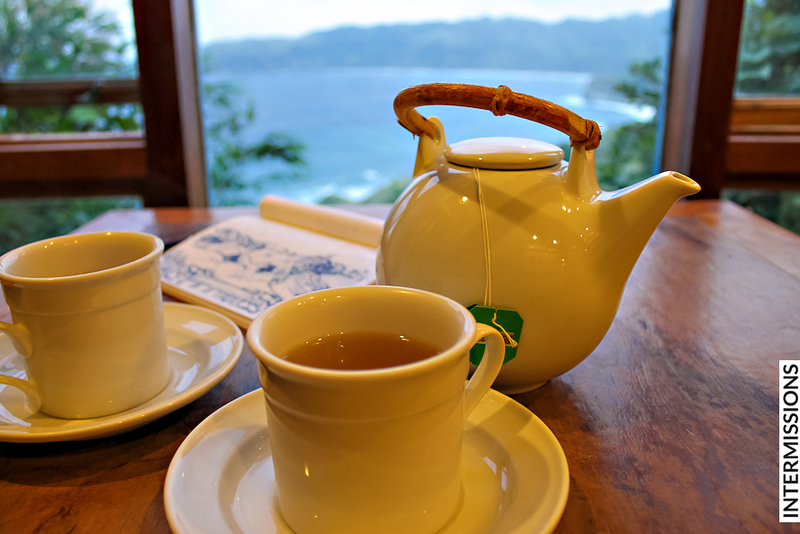 Sharing a pot of tea is also delightful after a day of adventure. 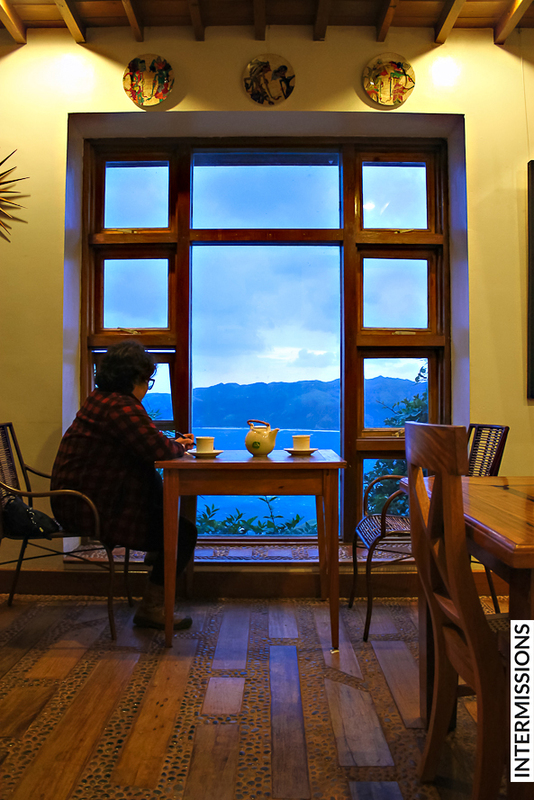 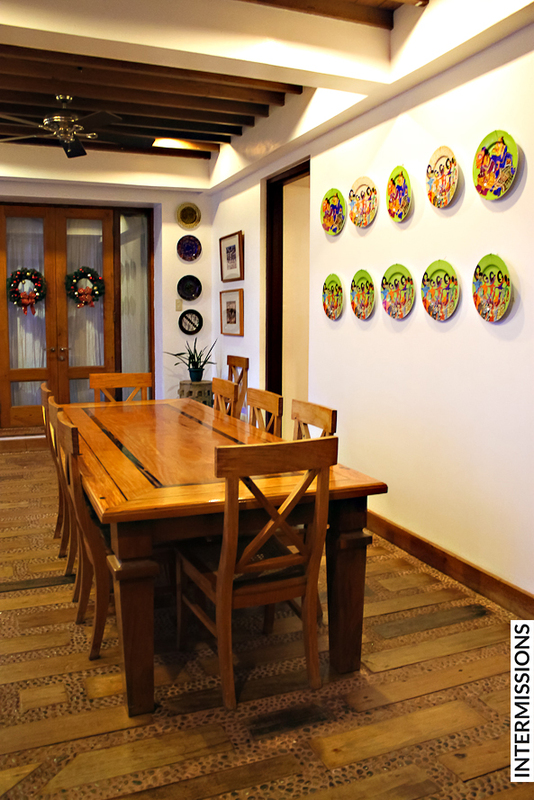 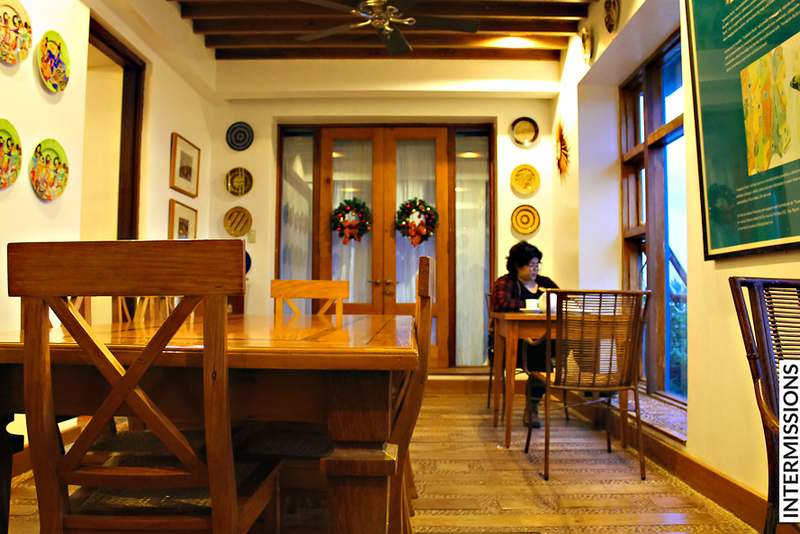 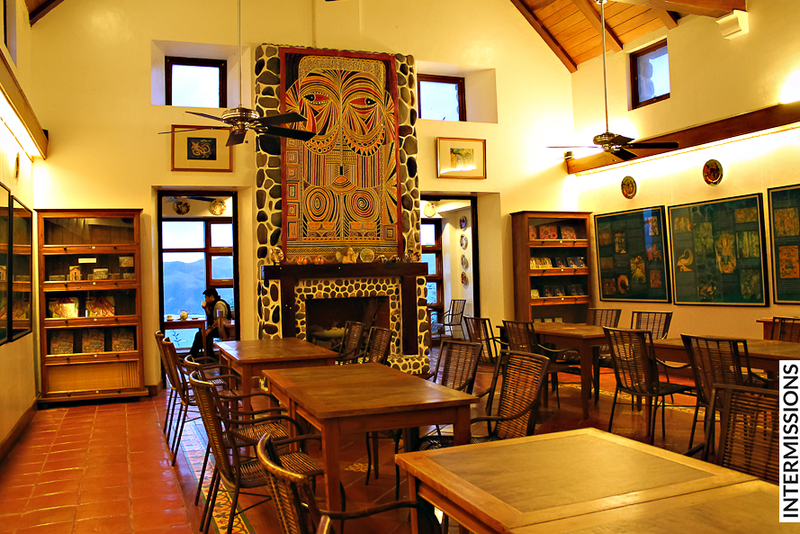 Aside from the great food and warm, attentive service, dining in Cafe Du Tukon means sitting among Pacita’s vibrant artwork, and enjoying the magnificent view of the Pacific. 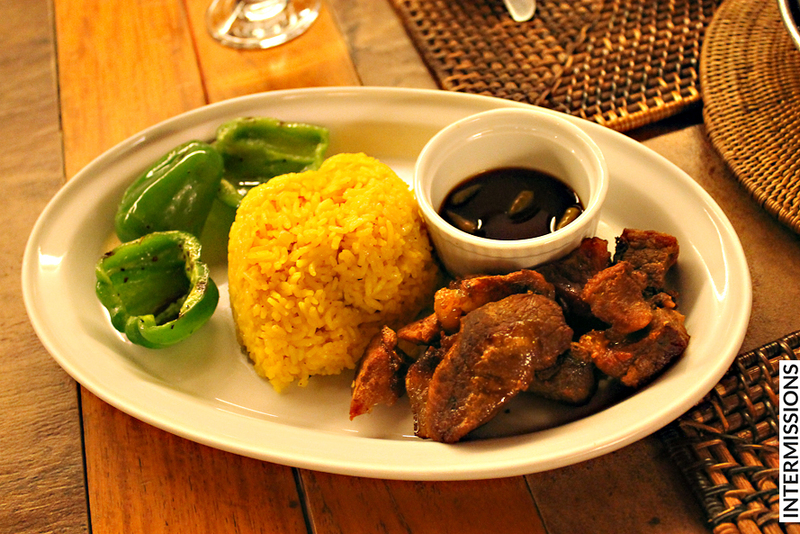 It’s truly a feast for the senses. 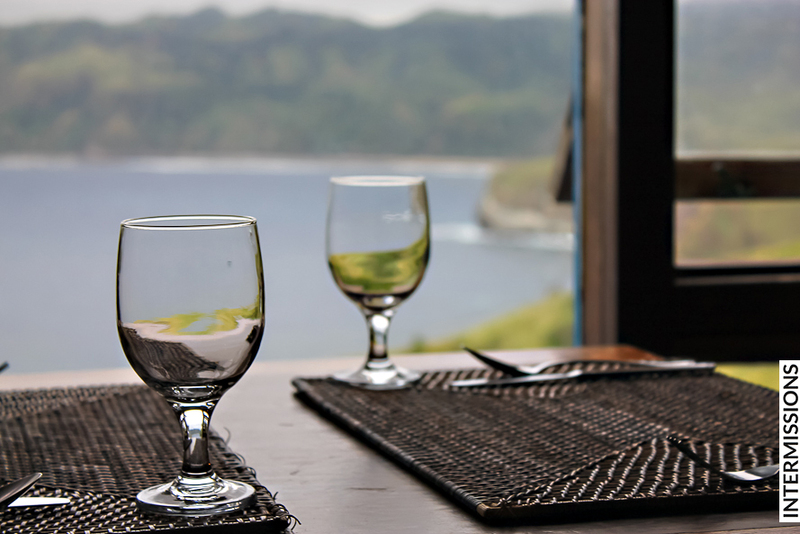 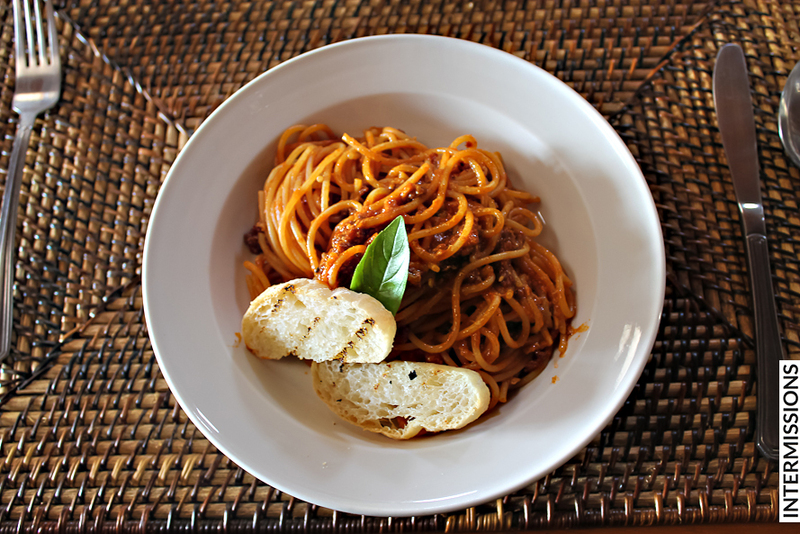 Our reco: Just like anywhere in Batanes, food can take about an hour to prepare, so simply order your meals ahead and your hot meal will be ready by the time you want to eat. 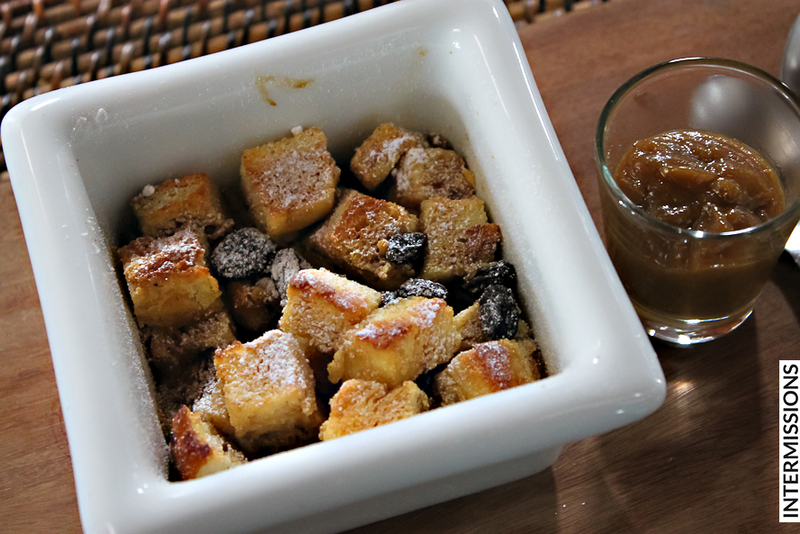 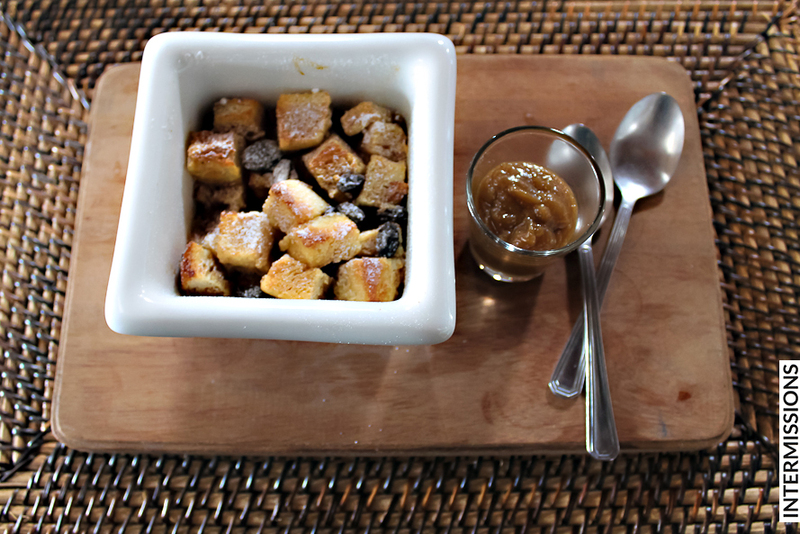 Make sure to try the Lunis and the Muscovado Pudding!